We’ve all been there, it’s been a long day and we don’t know what we’re feeding everyone for dinner. You have something you want to make, but it takes too long and you’re trying to stop the riot that will happen in the kitchen. Over the past year or so we’ve seen a huge surge in electric pressure cooker recipes, and I even have friend’s who have cookbooks filled with their own recipes and more. But despite seeing rave reviews from everyone – I never picked up one, because – how can I possibly make dinner in under 30 minutes with sides for up to 6 people and minimal work? Enter the Mealthy MultiPot. Mealthy sent me one of their 9 in 1 Electronic Pressure Cooker to test out. In the past, the only experience I’ve had was with a large pressure cooker on the stove top to can. Yes, I can use it to cook as well, but I’ve saved it for my canning adventures. It still needs attention, still takes some time and heats up the house. With the hot summer we’ve been having, I’m trying anything and everything to feed everyone without adding to the heat of the house – and Mealthy provided me that option! Like pressure cookers you use on the stove, Mealthy has a pressure indicator on the top that will show you when high pressure has been reached. It also has a steam release that you simply turn to pressure or venting when you are adding a recipe to the appliance! What I noticed when making my first recipe was that the Mealthy MultiPot doesn’t have a lock on the lid – but don’t worry, if the pot is pressurized, the lid is locked on and it wont get knocked off. What we loved about the Mealthy MultiPot – all of the cooking components are dishwasher safe (score!) that means after a quick meal, it can be cleaned up easily. 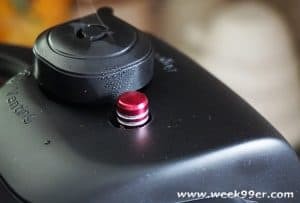 The button read outs are large and easy to follow and the quick guide makes making recipes a breeze. There is a Mealthy Recipe App that can give you dinner ideas, or dessert – whatever you’re in the mood for. Making dinner in our Mealthy MultiPot was so easy. Our first recipe attempt was a cheesy chicken pasta that took under 20 minutes from start to finish – and that started with raw chicken! Everything we’ve tried so far has come out perfectly, and dinner has already become easier. It is almost like it’s magic – and I’m not heating up the house while making dinner even on a 90 degree day! See everything that comes in your Mealthy MultiPot here in our Unboxing Video! 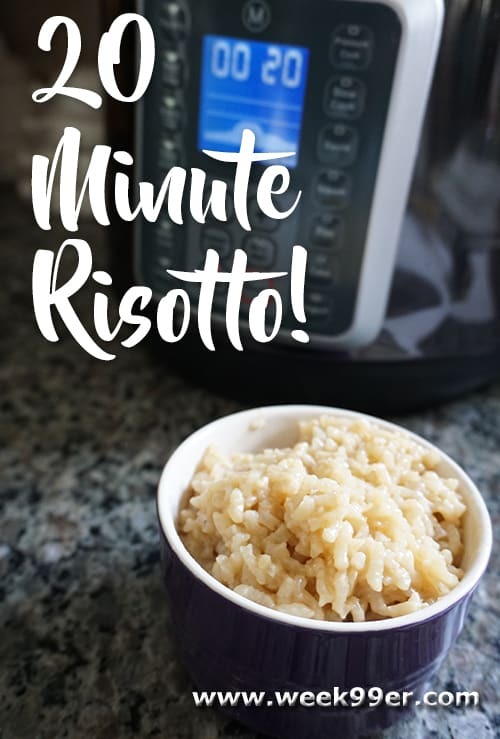 Risotto… it’s just one of those things that makes my heart skip a beat! It’s a rice dish that is cheesy and fills you up and is so good. Making it from scratch isn’t hard to do, but it does take at least 30 minutes and does require constant attention. That is until you make it in your Mealthy Multi-Pot! 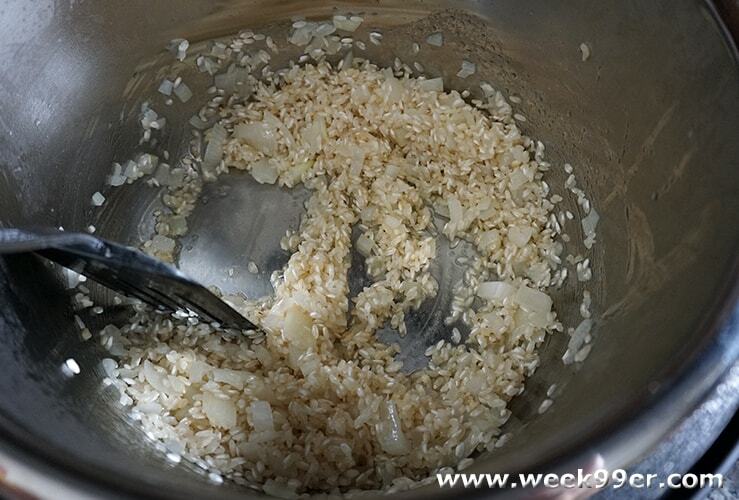 No more standing over that hot stove, instead it only takes a few minutes sauteing some of the ingredients, putting the rest in and letting the pressure cooker take over. From start to end, it has an active cook time of only 20 minutes, and only about five of that you have to do yourself. The rest of the time is pressurizing and cooking in the Mealthy. 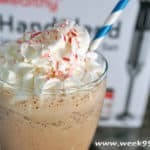 It’s so easy, so delicious and a recipe you’ll find yourself making over and over again! Place your Mealthy MultiPot on sautee and add in your butter or oil. Heat up and add in your diced onions. Saute for about 3 minutes until translucent. 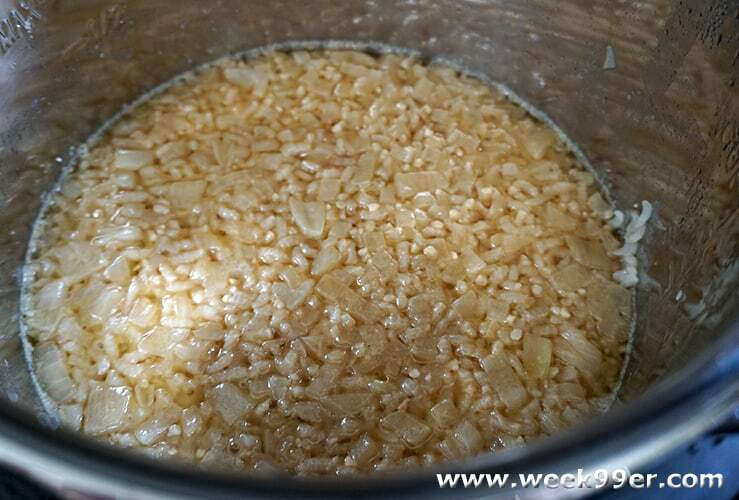 Add in your minced garlic and rice and cook for an additional minute until the rice begins to soak up the rest of the butter or oil in the pan. Add in 1 cup of broth. Continue to cook on Sautee for about 2 minutes until the additional liquid is soaked into the rice mixture. Once you can move your spatula and the bottom of the pan stays clean of liquid – you’re ready to go! Turn off the Saute function . Add in your salt, pepper, Parmesan cheese and remaining broth. Secure the lid on your Mealthy MultiPot and set the pressure cooking time to 10 minutes. Be sure your vent on the lid is set to “pressure” and walk away. After your Mealthy Multi-Pot reaches full pressure and the pressure gauge shows it is working, the appliance will start cooking and doing the 10 minute count down. Once the cooking time has finished, allow your Mealthy to naturally depressurize for 10 minutes, and quick release the rest. 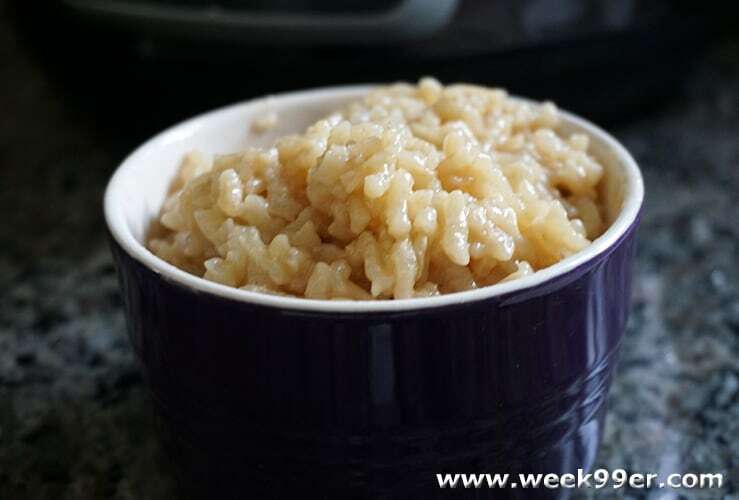 Fluff your beautiful risotto and enjoy warm! Don’t worry, your Mealthy will automatically keep it warm until you’re ready for dinner if it finishes before you’re ready. And it wont even burn it while it waits! Add in 1 cup of broth. 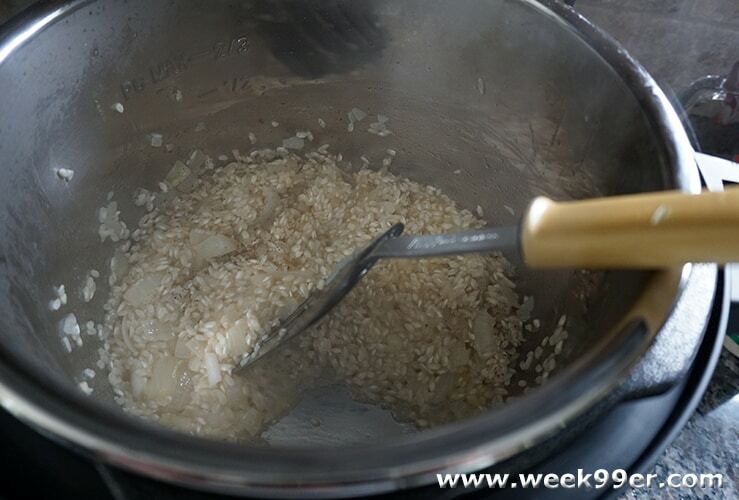 Continue to cook on Sautee for about 2 minutes until the additional liquid is soaked into the rice mixture. Once you can move your spatula and the bottom of the pan stays clean of liquid - you're ready to go! Turn off the Saute function . Add in your salt, pepper, Parmesan cheese and remaining broth. 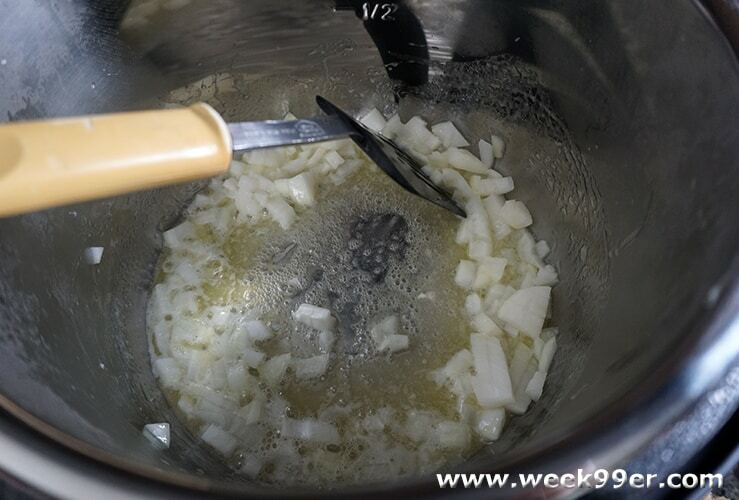 Secure the lid on your Mealthy MultiPot and set the pressure cooking time to 10 minutes. Be sure your vent on the lid is set to "pressure" and walk away. Did you want to win a Mealthy MultiPot? Read how you can enter to win your own below! 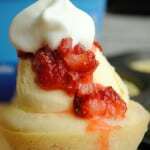 Next Gluten Free Cream Cheese Pound Cake – Perfect for those Shortcakes! I like that it features 9 cooking functions in just one appliance! I would make homemade chicken noodle soup as my first meal! If I win, I’d like to try making a dessert instead of heating up my house! This would make life SO much easier for my family of 6! I also haven’t jumped on the pressure cooker bandwagon just yet but you just made me want to! Pulled pork will be first on my list to make. Yumm. I’m excited to try any meal in this. Working 10 and 12 hour days has left me with no energy for cooking, even on my days off. I have looked at a different version for cooking chicken and pork. I’d use it for cooking rice, soup, and roast. Hmmm… I’d probably try to make a Mexican dish…. something spicy and cheesy! I like that the included steamer basket allows you to cook two separate things at once. The first thing I would make is a brisket. I’m not sure what I’d make so I may as well start with the risotto posted above! Thanks so much for the chance! Preset settings for pressure cooking and lots of functions, sounds awesome! I’d like to try making some Asian dishes like sweet and sour pork. I would love to make sesame chicken and fried rice in this multicooker! Oh my goodness, that risotto looks so good! Must try!! I think I would make homemade chicken and dumplings… even though it’s totally Summer. I would love to make some chicken and green chile stew in the Multipot! 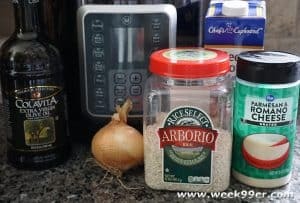 I would use this to make all kinds of keto-friendly casseroles! I would make risotto with the fresh squash from the garden. Your risotto looks delish, so I would start with that! Love, risotto, but can never get it right on the stovetop. Appreciate the chance to win! I’d like to try making short ribs in the MultiPot! I like that it has 9 cooking functions in one appliance. First thing made, pulled pork. I like the preset program options. I’d make a beef stew in it first. 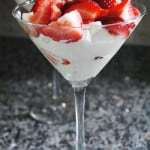 I’d love to try making my own yogurt! i love that it has 9 cooking methods! Saving time, dishes, work etc. This would be amazing! I am going to make lasagna in mine! My favorite thing is the versatility of the Mealthy MultiPot. Can’t wait to try the risotto recipe that you made! I like the facts that all components are dishwasher safe. I would try your easy risotto recipe. I have be scared to make it on my own. This is so cool because it’s dishwasher safe, thank you! I like the versatility and how there are easy to use buttons for each item to make things easier. First thing I would make is pot roast. I love the idea of these Multi-pots. I like that instead of using the oven and heating the house up further, that I can cook a meal in one of these pots. I would love to cook rice! LOve the 9 cooking functions. I will be making cream of potato soup. I am going to make stew. I would like to make ribs! I really want to try to make some type of vegetable soup…..never did this before. Plus, I want to make my favorite Spaghetti Sauce in here. I know its going to be even more tasty when make inside this pot. Thanks for the giveaway,.,….got my fingers crossed. Hope to win. I would like to make Orange Chicken in the Mealthy MultiPot if I won. I am going to make barbacoa. I would make rice! I can’t ever get it right on the stove. The first thing I would make is corned beef and cabbage! I know it comes out great in a multi cooker! I want to make chili and pot roast. Hard to believe that a chicken once took 4 hours to cook can now be prepared in 20 minutes. I would love to make a chicken barbecue. I’m excited to try the risotto in the MultiPot. I love risotto but it’s a pain to make the traditional way! I would try making pork adobo first. I think it would work well. The first thing I’d make is pot roast with carrots and potatoes. I would definately make my chili in the multicooker. I’m going to cook stir fry, soups. I would make a pot roast with onions, carrots and potatoes. Yummy. I am hungry. I would love to make swedish meatballs using this pot! I would make risotto with mushrooms. Anytime, something can save me time in the kitchen, but allow me some creativity in cooking health meals….works for me! When I am chosen as your very lucky winner and receive my prize, I look forward to cooking up some delicious BBQ Beef and another meal would be some great chili. I’m going to make ham and cabbage if I win ! I will cook rice! I’m not a very good cook but using this will help. I’d like to make Pressure Cooker Scalloped Potatoes. I am going to try to make the best diced vegetable and rice dish ever! Add chopped vegetables, rice,soy sauce, diced meat and whalla……I can’t wait. I’d love to try making pot roast. i like that it reduces cooking time. it will be such a time saver for me. I would make pork ribs. 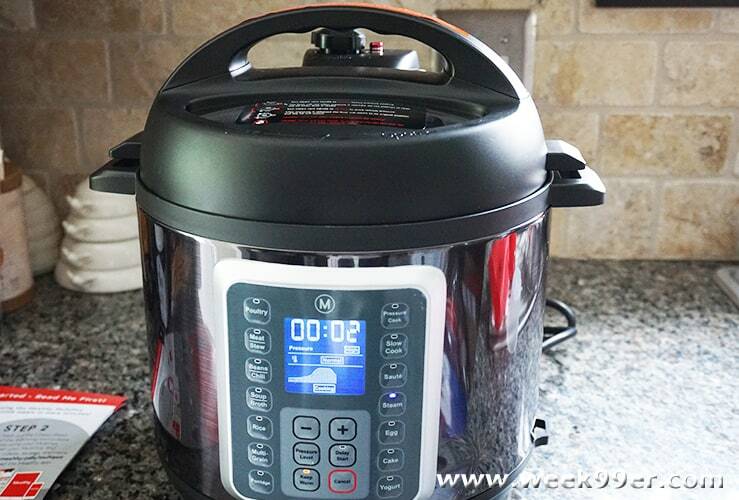 I would use this pressure cooker for meal prep so that I can make healthy meals easy. My husband and I are trying to watch our carbs. I love that this has 9 functions! I am vegetarian & would love to make seitan with this – normally the seitan needs to steam for a longer period, but I bet it would be easier & faster with the Mealthy Multicooker! I’d love to try rosemary chicken and potatoes. I would try out that chicken pasta idea you mentioned! It sounds so good! Yum! That looks so good and so fast! This has so many great features. I would say my favorite is definitely that this system is easy-touch control panel with 14 customizable preset programs. I can bet my bottom dollar that if my husband had his choice chili would be the first thing I’d make!! I’d like to make Pressure Cooker Barbeque Chicken. S, I just saw a recipe that I have to try, Cheesecake. who would have thought you can make that in a Mealthy MultiPot!! I like all of the different functions of the Mealthy MultiPot. I would have to think of something creative for the first meal I cook in it. I like to mix it up the first time I use something new. Maybe a seafood based soup or something. I am going to make chili in it first. I will make chills in the pot. I would make cornbeef and cabbage or meatloaf. I like that you can make healthy meals for the family. I’d like to make Pressure Cooker Sloppy Joe. I would like to make some ribs. I’d like to make a pot roast with veggies. I’m going to make soup! Stuffed peppers with tomato sauce. That its so versatile, I can make a lot! I love the different cooking options. First thing i would make would be chili or spaghetti sauce. I would like to make ribs in the multi pot. I like that it’s 9 appliances in one — I would probably use it mostly as a pressure cooker, steamer and slow cooker. First thing I would make is pot roast. I want to make a full meal like potatoes and a meatloaf at the same time. I grew my own veggie garden this year. This would be nice for sautéing green beans and making pasta sauce. I would make some stew. I’d like to make Pressure Cooker White Chili. My favorite thing about the Mealthy MultiPot is that you have one appliance that will do multiple tasks. I am planning to make Potato Soup. I’m going to make a cheesecake. I’ve heard they cook quite well in a pressure cooker. I’d love to make a bbq brisket in the MultiPot! I like that all of the cooking components are dishwasher safe. Many small appliances don’t have this feature which makes it harder to clean up. I would make beef stew in this. I bet it would come out so good. I’d love to try my husbands chili recipe in it. I like the 9 in 1 feature. I’d like to make Pressure Cooker Mushroom Risotto. I’d like to try using it to make boiled eggs. I would make pork ribs. Thank you! I don’t have one of these yet. Your risotto looks delicious so I would have to try that also, but I have been wanting to try some barbecue ribs in one. I’d like to use this pressure cooker to make a pot roast with potatoes and carrots. My kids would really gobble it up! I would love to make a beef stew. Your recipe looks delicious! 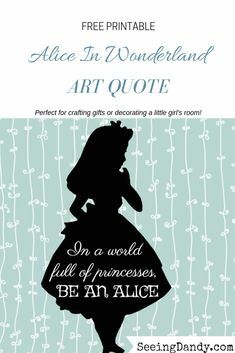 I like that it accomplishes so much! I’ll make something vegan. If I win I want to make rice or homemade oatmeal. Stuffed artichokes with tomato sauce and potatoes. I like the different functions! I’d like to make Pressure Cooker Mac and Cheese. I would make some Spanish rice. I’d like to try making a cheesecake in the MultiPot! I love that this pot has a saute option, it makes browning meat so much easier if you can do it and pressure cook all in one pot. I would like to make a soup recipes. I really want to make yogurt in the Mealthy! I would make a big batch of chili in the Mealthy MultiPot. Instant Pot Red Skin Mashed Potatoes! I love all the different controls to it. I especially love the sautee feature. Love my 3qt IP but it might be time for an upgrade. I would try your risotto recipe in it first! It looks delicious. I like that it the included stainless-steel steamer basket enables you to make two dishes at once. I want to make chili and clam chowder when I win. I like that my wife can have a healthy meal after working all day and not spend hours in the kitchen. I will be making some shredded bbq or general tao’s chicken first! Thanks for the chance to win this great prize! I will make Chicken Cacciatore in the pot! I would first make beef roast and potatoes in the Mealthy MultiPot. 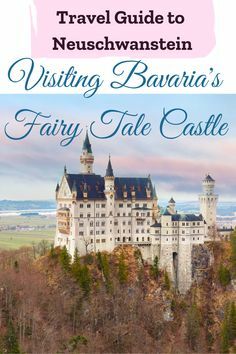 This is an item on my wish list because some of my friends have one and love it! I would probably try a mac and cheese or a chicken dish first. I’ve been wanting one of these for a while! love how you can do different things with it all in one pot. I would make my black beans and pork recipe the family loves it. I’d like to make Pressure Cooker Creamy Mashed Potatoes. 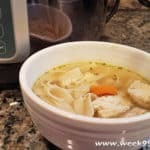 I used a pressure cooker for 3 years and would never make a soup any other way, it keeps the vitamins in the soup, as well as the amazing flavors you choose to add. I will try my hand at chicken and dumplings in my new multipot! I would use it for soups and meats. I like that it doesn’t take long to cook things. This device is great for perfect rice! I use my old crockpot all the time so this would be a great step up. I would make my family recipe of BBQ pork first. I would make chicken rice soup. My favorite thing about the MultiPot is that it’s so versatile and does the work of several different appliances! I like that it offers nine different ways to cook food and that it cooks food quite well. Thank you! I would make a lot of meals in this pot. Ribs, bbq chicken to pot roast. I cook a lot of rice so I’m really hoping to have this so that it will go easier. This looks like a great pot to cook in. You can pressure cook, slow cook, sauté, steam, or bake cakes, and much more, all at the touch of a button and all in one pot! I want this because it would allow me to cook in various methods including pressure cooker, which I don’t currently have. I would love to use this pressure cooker for soups in the fall. I would enjoy having this in my kitchen. I am going to make a roasted chicken if I’m the winner. I would probably make a pot roast first! I would make all different kinds of soup. 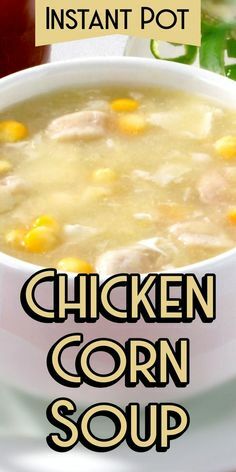 i know its not really the season for it but i am obsessed with chicken corn chowder so i would make that. We are going to make a beef stew loaded with vegetables ! I like the fact that making roasted turkey and chicken will be a cinch. Love how many things it does! I want to make crab dip first. My favorite thing is how easy it is to use. I’d use it for cooking a pot roast with veggies looks amazing to use. I am going to make my favorite meal Corned Beef and Cabbage. I love the functions of this appliance! It sounds amazing and this review has me sold! I am going to make my world famous beef stew in it. First thing I would make is pot roast. I would make beef stew or chili in it. I’d like to cook a yummy chicken casserole in it! Thanks and God Bless!